The counter, the concept of departure board in Airport. 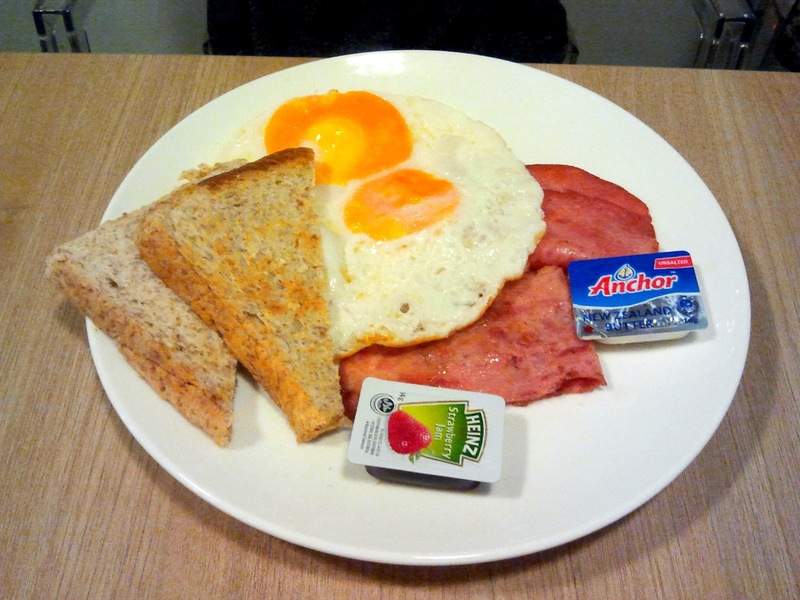 The value breakfast range from RM8.90, RM11.90 and RM 13.90. 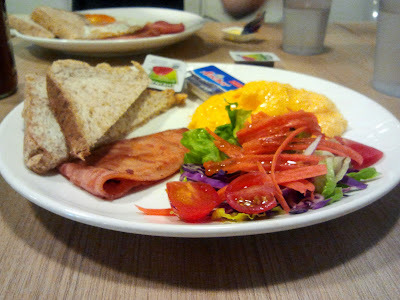 You can customize your own choice 3 types of food that available in their order card for RM8.90, eg: mushroom, sausage, salad, bacon, eggs etc. and breads are included (either wholemeal or plain bread); 5 items for RM11.90; 7 items for RM13.90. 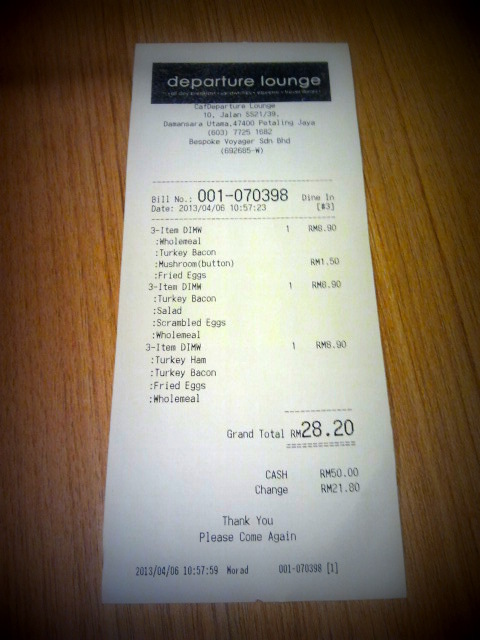 You have to make your own order in the counter first and pay then only food will be served to you. In such a nice environment, enjoy reasonable price of breakfast with your besties are so nice. 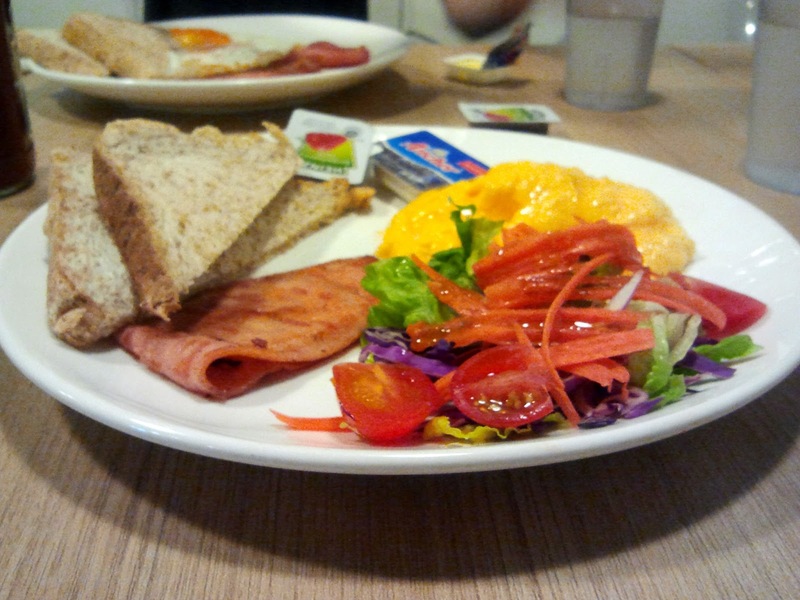 Here is our food. Took a photo of her without her notice. 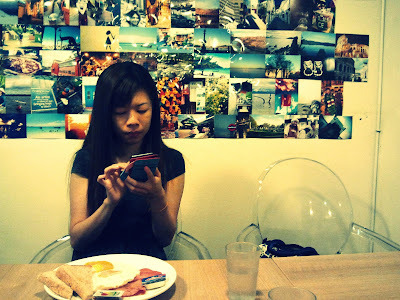 In that lounge they stick all the attractive spot photos on the wall, while waiting you can have a look on it. 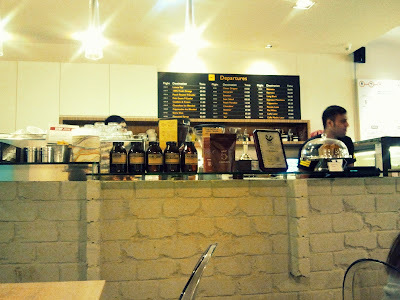 They do serve coffee and juices, however we didn't order any only sky juices. 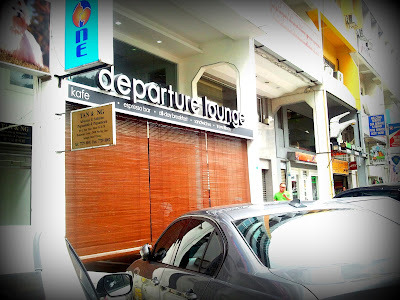 Damansara Utama, Petaling Jaya, Selangor. Business hours: Mon-sat: 8am-7pm, Sun & Public Holiday: 8am-5pm. Closed on tuesdays.